A review of Marshaling Culture: Strategies of Japanese Mobilization in Colonial Taiwan, by Winifred Kai-wen Chang. Winifred Chang’s dissertation is a reexamination of the centrality of emotions in the development of Japanese strategies of mobilization and rule in colonial Taiwan throughout the five decades of Japanese rule on the island. Her dissertation shows that, over the course of this period, Japanese officials in Taiwan used various pedagogical practices including education, newspapers, and propaganda, with the goals of first, cultural transformation and civilizational development, and later, total mobilization for the Asia-Pacific War. The realm of emotions and the affective lives of the Taiwanese were not merely objects of transformation and mobilization through Japanese policy, but crucial to Japanese conceptions of Taiwanese colonial identity and the linchpin of Japanese rule. Neither were Taiwanese subjects passive recipients of these political and social efforts. Using diaries and oral histories, Chang’s dissertation reveals the development and wide range of Taiwanese emotional and sentimental “responses” to Japanese policies over time. She argues that, by the end of the colonial period, “emotional correctness”—demonstrated through activities including vocal support for the war effort and volunteering for military recruitment—had become an sort of “affective citizenship that became the inclusion principle of the Japanese Empire…confirm[ing] one’s status as an Imperial Subject” (p.260). Chang’s dissertation is a welcome addition to the growing literature on colonial Taiwan, making a persuasive argument for the centrality of emotions and affect in official policy and rhetoric. Her focus on emotions is also a useful lens from which to study the reactions of Taiwanese to Japanese policies, often revealing the contingent and co-constructed nature of institutional power. The “Taiwanese” introduced in this dissertation range from landed gentry literati elite such as Lin Xiantang 林獻堂, to doctors trained under the colonial education system such as Wu Xinrong 呉新榮, to “model aborigines” subject to assimilation policies and later central to the famed Musha Uprising of 1930. This dissertation argues that, despite the differentiation of policies directed at Taiwanese along lines of class, language, geography, and so on, mobilizing sentiment and affective support for Japanese rule on the island was central to policies across populations during the colonial period. As such, Chang’s dissertation is not only a contribution to literature on Taiwan and the Japanese Empire, but also to our understanding of emotions as an important historical subject and a constitutive component of social and political orders in modern East Asia and beyond. Four chapters organized in chronological order form the heart of the dissertation, bookended by the first—an introduction to its major historiographical and theoretical engagements—and the last, a conclusion. Chapter 2, spanning from 1895 to 1930, covers the period that Chang terms “initial colonization,” and focuses on the “trends that enabled the creation of internalized patriotism in the later years,” including efforts to build Taiwanese cultural affinity to Japan through textbooks, Japanese language education, didactic editorials written to promote the intertwined benefits of modernization and Japanese rule (p.27). Chang is careful to read these textbooks and language primers in the way that “a Taiwanese person would have learned Japanese.” In doing so, she suggests that both Chinese characters (kanji) and pictorial depictions played important roles in instructing readers the benefits of and progress under Japanese rule in Taiwan. 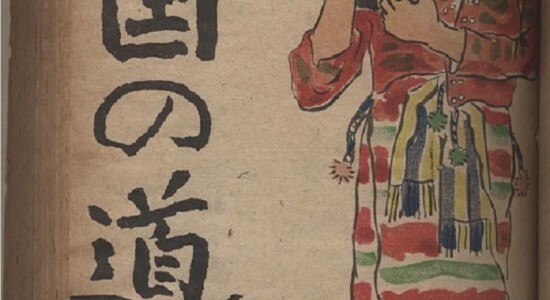 Textbooks were as important in inculcating Japanese ethics and cultural practices as they were in fulfilling the needs of basic Japanese language education. Central to her argument are Japanese proclamations of “spirit” (seishin) as an affective and transformative force to this period, which gained traction especially in the 1910s after the Russo-Japanese War. She reveals efforts to simultaneously highlight Japanese military valor and civilizational superiority and weaken Taiwanese emotional and affective ties to China. The chapter concludes by examining reactions to Japanese policies as recorded in diaries by two Taiwanese elites—one, Zhang Lijun 張麗俊 (1868-1941), a literatus from Fengyuan in central Taiwan, and another by Huang Wangcheng, a teacher in a local elementary school. Chang’s analysis suggests that, while Taiwanese literati engaged the Japanese colonial authorities, cultural policies during this early period were unobtrusive and did not provoke them “to confront what it meant to be a Taiwanese subject of the Japanese Empire” (p.78). These men, deeply tied to their local communities, were far more concerned with daily life and local concerns than expressing either nostalgia for Chinese Qing rule or angst at Japanese rule. For educated elites, Japanese commitments to modern infrastructural development, education, and personal advancement largely conformed to their personal and ethical priorities, and can explain why Japanese efforts at assimilation during this period were met largely with passive acceptance. Chapter 3 turns to the Musha Incident, an uprising led by three Seediq aboriginal men in central Taiwan against Japanese rule that resulted in 134 Japanese and 2 Taiwanese deaths on October 27, 1930. Chang argues that the incident initially shocked Japanese rulers because it betrayed the failures of cultural policies aimed at assimilating these “civilized aborigines,” casting into doubt the logic of civilizational development that underlay existing Japanese pedagogy and policies. Official analysis of the uprising in both the Japanese- and Chinese-language press framed the incident to garner sympathy for the Japanese victims, using the language of civilization-as-teleology to invoke Taiwanese Han condemnation of the incident and enlist support for violent suppression. Officials also framed the incident as an emotional affair that was more an impassioned, violent response to proximate dissatisfaction rather than a wide-reaching indictment of colonial discourse undergirding policies of cultural assimilation. Chang’s close reading of published public opinions reveals surface attempts at censoring mentions of Japanese “colonialism” and “inhumanity” (p.127). Finally, commentators also attributed the incident to the aboriginal peoples’ primitive violence and heroic martial character, which, by drawing a non-coeval parallel to an archetypal Japanese warrior in the ancient past, suggested the “possibility of incorporating the aborigines themselves into Taiwan’s future as part of the Japanese colonial enterprise” (p.133). Chang argues that the Musha Incident was a turning point towards a convergence in Japanese efforts to: manage public opinion through the outward performance of emotions, elevate the obligation of Taiwanese subjects to repay imperial grace, and glorify death through violence. The above themes set the stage for Chapter 4, in which Chang details the efforts by Japanese officials simultaneously to subdue aboriginal violence and mobilize support for militarism among the Han Chinese population between 1930 and the outbreak of war with China in 1937. She argues that popular militarism in Taiwan gained increased urgency as thinkers repositioned Taiwan from a peripheral part of the Japanese Empire to the center of the East Asia Co-Prosperity Sphere. Formal and social education for children and adults alike placed a renewed emphasis on patriotism as an integral component of the “ethics of subjecthood” while simultaneously rendering irrelevant the earlier rhetorical focus on difference and similarity between Taiwan and Japan (p.137). Especially after the Manchurian Incident of 1931, Chang contends, this nascent militarism and valorization of violence and death aimed to mobilize the island for (an?) impending total war. Central to efforts to inculcate an ethics of patriotism in Taiwanese was the Japanese language itself, which would “promote thoroughly the imperial spirit and strengthen the citizen consciousness” (p.143). The chapter concludes by using diary entries of elite Taiwanese to show that, to an extent, “Japaneseness had become a part of their daily lives over three decades of colonial rule” (p.156). During this period, Zhang Lijun (first introduced in Chapter 2) demonstrated a “closer imagined connection to Japan,” exemplified by his identification with Japanese state power and his support of the developments of colonial modernity. Lin Xiantang (1881-1956), a proponent of autonomous self-rule in Taiwan, on the other hand, found his efforts at advocating for Taiwanese political participation increasingly rebuffed by the colonial state, and expressed in his diary frustrations at what Chang terms the widening “gap between rhetoric and reality” (p.170). Her reading of these diaries reveal the diverse reactions and limits to Japanese official rhetoric and pedagogical efforts to instill an ethics of patriotism, as well as the dissipating possibility of passive indifference to Japanese rule in everyday life as the empire prepared for total war. Chapter 5 covers the period between 1937 to 1945, when previous appeals to militarism, violent death, and affective devotion to the colonial state coalesced into the system of wartime mobilization of hearts and minds. Chang emphasizes again the important role of emotional appeals, which gained urgency in this period through efforts by the colonial state not only to control emotional responses as before, but also to enjoin performances of allegiance to the war effort through concrete action (p.186). She uses textbooks published in this period to show that “education was no longer about civilizing the Taiwanese population via language and modern knowledge, but became the cultural arm of the war effort”: the pedagogical goal had shifted from civilization to mobilization (p.203). “Bell of Sayon,” a story set in 1938, idealizes the self-sacrifice of an aboriginal girl in Taiwan who died as she helped her Japanese teacher, who had been drafted to the war in China, carry his luggage down a stormy mountain. Chang examines a version that appeared in a 1944 elementary national language (Shotōka kokugo) textbook, using the story to reveal Japanese efforts to valorize the repayment of imperial benevolence and spiritual sacrifice. In further dramatizations of the story, emotions—and especially the purity of emotions—are central to the gendered colonial relationships that encourage the imitation of a young girl’s volunteerism and ultimate death. Nor were schools the only sites of such pedagogical efforts; as Chang intimates in the previous chapter, people of all ages and at all levels of society were the objects of emotional and spiritual mobilization, through groups including military volunteer corps, public service associations, and youth and women’s groups. As in previous chapters, Chang concludes her analysis by examining reactions by Taiwanese to official policies and efforts, as recorded in diaries of elite men as well as oral histories of civilians collected in the 1990s. She compares the reactions of Lin Xiantang (examined in Ch. 4), a classically-educated landed gentry elite, and Wu Xinrong, a Japanese-educated doctor. Lin, of an earlier generation, is initially circumspect of and passively resistant to imperialization efforts but ultimately aligned with the Japanese war effort for pragmatic reasons, and Wu, a professional trained under the colonial education system, is a consummate “imperial subject” who found it quite natural to “be Japanese,” write in Japanese, and respond enthusiastically to wartime emotional exhortations. Chang finds significant ambiguity in both their diaries, however, showing that while both men denounced the reality of war in private writings, neither challenged the ruling regime in public. Furthermore, both responded with measured support for the post-1945 ruling Kuomintang regime, demonstrating the limits of their previous enthusiasm for Japanese rule. In reading oral histories collected in the 1990s, Chang’s sensitivity to both actions taken in wartime in response to difficulties and the individual emotions that underlay these choices, shows that the “idea of Japan”—a construction bound up in “vague notions of honor, masculinity, and a future of peace that was to follow certain victory”—motivated both Taiwanese civilians as well as the Japanese teachers tasked with mobilizing them (p.245). In conclusion, Chang reiterates the importance of emotional identification as exhorted by the colonizer and performed by the colonized, cementing the role of emotional appeals in perpetuating an “internal colonization [of Taiwanese]…through their hearts” (p.248). In short, if this dissertation’s focus on the emotional appeals of the colonial state demonstrates their centrality to official discourse, then its examination of the responses to these appeals can reveal as much the contingency of and limits to state power as it can its co-created efficacy. Chang’s dissertation provides a new approach to long-standing questions about colonial discourse, identity formation, colonial subjecthood, state-society relations, and wartime mobilization in colonial Taiwan. Her focus on emotional appeals also allows for an analysis that is sensitive to different groups on the island—from classically-educated landed gentry elites and new socio-professional groups educated within the Japanese system to aboriginal populations—while capable of discussing commonalities across and beyond analytical categories of nationality, gender, class, and race. Chang’s readings of diaries compiled and published by the Institute for Taiwan History at Academia Sinica in Taipei show the potential of drawing on the insight and efforts of scholars based in Taiwan. By focusing on emotions and everyday life in shaping subjective responses to Japanese rule, Chang’s dissertation stresses contingency and historical specificity, making a timely contribution to our understanding of the underpinnings of contemporary debates about social, discursive, and cultural changes throughout the colonial period in Taiwan. Oral histories: Local Administration in Taiwan Under Japanese Rule (Rizhi shidai Taiwan de jiezhuang xingzheng), Cai Huiyu ed. University of California, Los Angeles. 2012. 307 pp. Primary Advisor: Richard von Glahn. Image: Taiwan Sōtokufu. Kōkoku no michi [Imperial Way]. Taipei: Taiwan sōtokufu, 1942. Depiction of Sayon.